No, not like those delightful butcherings where I get to hang by a pointy hook and travel across various conveyors while my entrails drag behind me in a macabre version of jump rope. Not like those happy guys, I couldn't be that lucky. Instead, I got butchered by a bad haircut. I always thought my short hair style and general male nature would make me immune to this phenomenon. However, a truly bad stylist can cut through these theories and leave me in my current state of unattraction. When she heard I wear my hair in “short spikes,” she stopped paying attention after the first syllable and basically gave me a buzzcut without using a razor on top of my head. A fair amount of the blame does go in my direction though. My choice of hair cuttery did no reflect the highest of choices. No Regis Hair Salon for this boy. No, the place I went to was called “Genuine Salon,” and, to put it cleverly, it genuinely sucked. But I knew that going in. The only reason I frequented this place is I had a frequent haircut card there. After that first cut, I had one punch on my nine punch card set. I figured I was over 11 percent there, at $10, the price was low and the cut decent. Fair deal. The second cut wasn't nearly as good, the older one (and the one who would provide nine of my 10 haircuts) did the cut. But it passed well enough, and another 11 percent went towards my freebie. The third one, she took my sideburns. 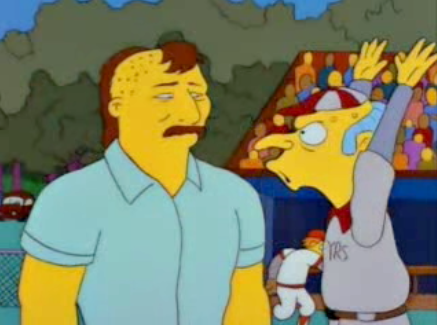 If only I had Don Mattingly's luxurious sideburns. While that logic really didn't make sense, it did make me go back to get my eighth and ninth paid ones before locking down my 10th one. The bizarre thing is, at the end of this two year journey, the final cut turned out the worst. It's not like she recognized me and figured she'd butcher my hair as a parting gift (nobody comes back after 10) but that's the thing, she didn't recognize me. Basically every time I went in there, I told her the exact same things—I work retail, my girlfriend works with wildlife and I work retail (yes, twice). Were this a massive revenge plot, she might have shown some recollection of me, although that might have all been part of the plan. 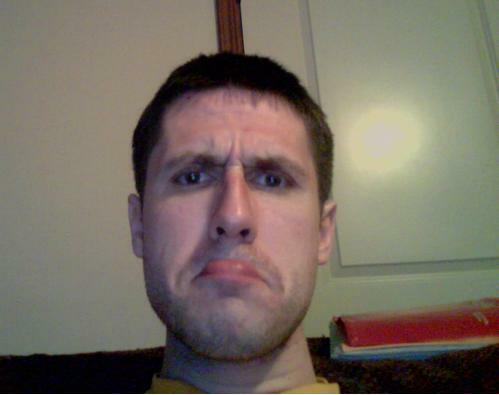 This whole ordeal leaves me with a bad haircut, but worse than that, I now have to find a new place to get my hairs trimmed. And I think the latter problem is going to be the biggest. While Genuine Salon might have been horrible, they were reliably horrible, and that's the best way to be butchered.